A.’s full time job is in non-profit management, and this summer was a big one for her current organization as they moved to a new facility- the largest of it’s kind in the world. Prepping the facility for opening, helping to plan the opening parties and ceremonies, all while closing the old facility kept her busy this summer (plus 3 weddings, a bridal shower, and helping her good friend Kristen at Kio Kreations). One of A.’s colleagues asked her to create some centerpieces that would last the entire week of opening parties on a next to nothing budget. 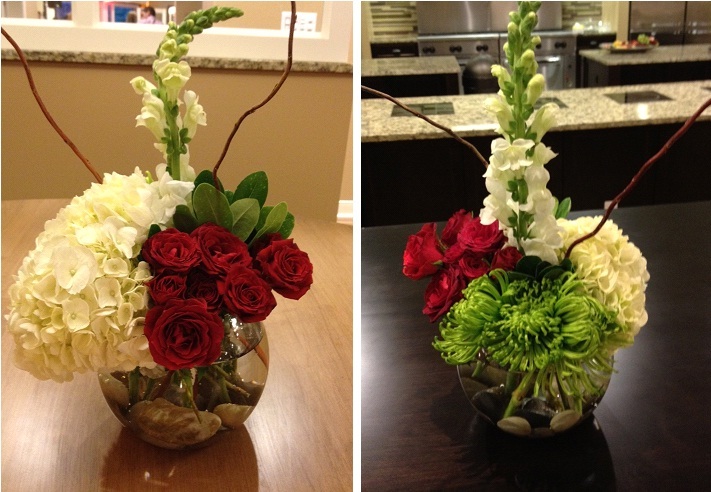 A put her thinking cap on and came up with a couple creative centerpieces that she dismantled throughout the week and reused pieces in a different way to give the illusion of new arrangements. 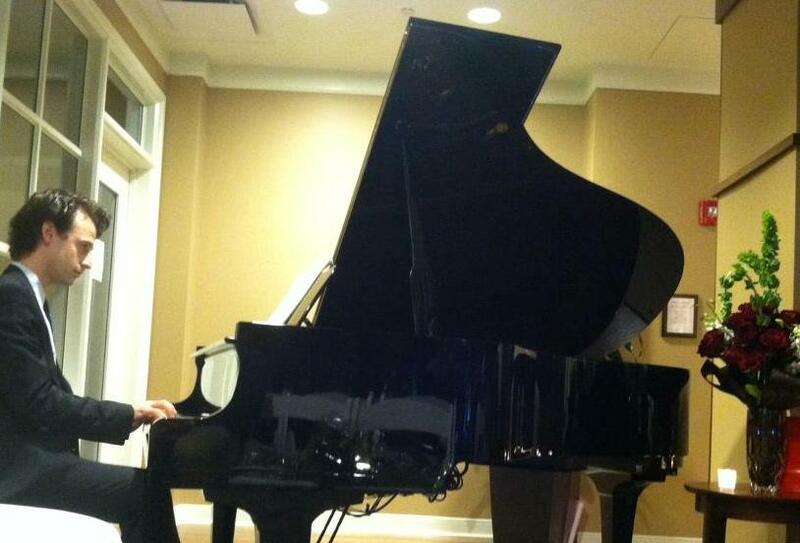 A few months after opening, a piano concert at the facility gave her another opportunity to showcase her talents – again on zero budget. The gentleman offering to bring his generous friends for the concert wanted red roses, as they reminded him of his mother who had passed away that year. 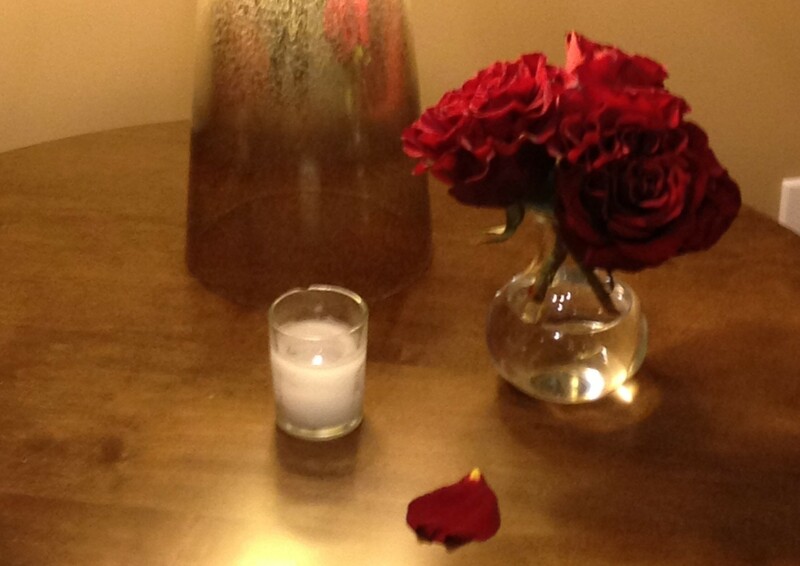 A. didn’t want to use standard roses, so she used hearts roses not only to be unique, but also to be symblolic of the love felt throughout the facility that night. A. used red ti leaves to create a collar around the main showpiece by the grand piano and used lace to wrap traditional tealight holders to give them a warm glow. The event raised over $40,000 for the charity and the flowers added a rich touch to the night so A. considered it a success! 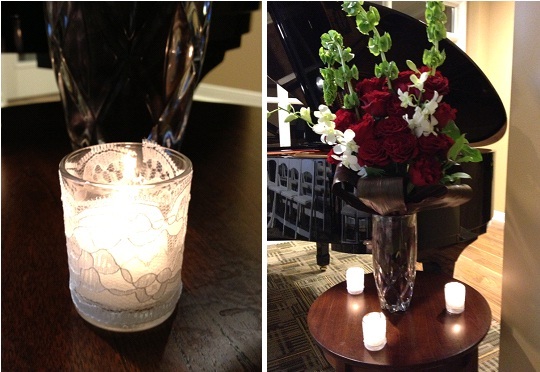 Trio of hearts roses and candlelight scattered throughout event.